Nairobi, the green city in the sun, is hauntingly beautiful. It is no wonder that a lot of people fall in love with this city and swear to come back when time and money allows. Nairobi, Kenya’s Capital, is vibrant with bustling neighborhoods and hipster hangout joints, making it more fun and interesting. Kenya is simply one of the most wonderful destinations in the world, and Nairobi is the epitome of the magical Kenya. 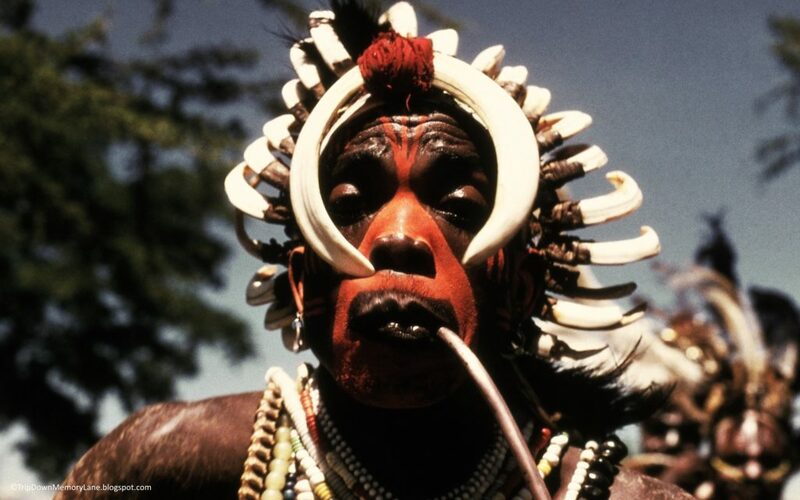 Kenya is home to over 40 indigenous tribes, and Nairobi being a metropolis, has a blend of all these tribes. Nairobi is the melting pot of the different cultures that Kenya holds and therefore provides an interesting mix from the Masai Culture, to the Swahili culture, down to the Luo culture from the lakeside region among others. With all these cultures intertwined in one place, with people who are friendly and always ready to help, you will get a chance to experience the diversity. Nairobi cannot be mentioned without mentioning the Kenyan Cuisine. From the local and authentic eat out joints to the high end restaurants, Nairobi has a lot to offer when it comes to food. “Nyama choma” (grilled meat) is like a Kenyan staple and no visitor should leave without tasting this delicacy. Meat is grilled over hot coals, cut into cubes and eaten with just salt, “kachumbari” and ugali. Apart from nyama choma, there are fresh, tasty vegetables from the farm as well as the traditional foods that reflect the different cultures and lifestyles of the country. Street foods like grilled corn are also to be savored. Kenya is by far the iconic home of safaris and Nairobi offers its share of the safari life. Nairobi shares its ecosystem with wild animals in their natural habitat. To experience this, simply walk into Nairobi National Park and experience the graceful nature. There is a surreal moment that you experience when you visit the Nairobi National Park. You get too close to the animals that you can almost reach out and touch them. No, it is not Animal Planet or Natural Geographic, it is the real thing! Who wouldn’t want to have such an amazing and memorable experience? A country is defined by the nature of its people and it is no brainer that Kenyans excel at this. The people of Kenya, especially those in Nairobi are friendly and proud of their nation, despite the different ethnic groups, languages and religions. They always have big smiles and friendly greetings around every corner. The moment you set foot in Nairobi, you have the liberty to choose the mode of transport that you need to move around. You have a choice to get on the back of a motorbike taxi, locally known as boda-boda, tuk-tuk (3 wheeled taxi), a cab or take a ride in a matatu (public transport). Riding in a matatu is more fun because they are usually decorated with various motifs and you may be forgiven to think that they are mobile disco halls. They are usually pumping out music at the highest volume possible. This is a local experience only for the daring. Kenya has a beautiful tropical weather all year round, and Nairobi is not left behind. This becomes a beautiful experience for visitors who have to endure cold, climatic weather. A taste of the hot African sun is something to look forward to. The simple fact that you don’t have to be wrapped up in boots and coats all the time gives you an opportunity to put on your summer wear that you have stuck somewhere in your wardrobe. The City makes its own Beer! Yes, the beer lovers are fully covered when they visit Nairobi. N a hot day in Nairobi, it is only natural that you would need something to quench your thirst and nothing beats a cold beer, second only to water. Nairobi brews its own beer, Tusker, which is the favorite of many locals. There are many places within the city where you can grab a bottle of Tusker, from ‘hole in wall’ kind of bars to upscale lounges; the choice is yours. The flavor of the beer is delicious and it is a guaranteed refreshment after a long day of venturing through the city. It does not come as a surprise that its advertising slogan is “Baada ya kazi ni wakati wa Tusker” loosely translated as after work it is time for Tusker. Nothing beats the fascination that a movie fan gets from visiting the location that their favorite movie was shot. That is the feeling that ardent movie lovers have when they visit Nairobi. One such movie, ‘Out of Africa’ was shot on location in Nairobi. It is a movie surrounding the life of Karen Blixen, a white settler on the slopes of Ngong House. Within Nairobi is the farm where Karen Blixen lived from 1917 to 1931. In fact, her farm house was turned into a museum by the same name to conserve her memories. You can still find her monogrammed books on the shelves. Kenyans are creative people and the streets are littered with creative items from handmade bags, jewelry, kikois (local sarongs), baskets, shawls, carved gourds, plates and cups, tribal masks, beaded belts and footwear, soapstone carvings, toys made out of old flip flops, musical instruments like drums, the list is endless. There are many craft co-operatives that support the locals to pay a tribute to their creativity. You will be spoilt for choice when looking for a souvenir to carry back home with you. 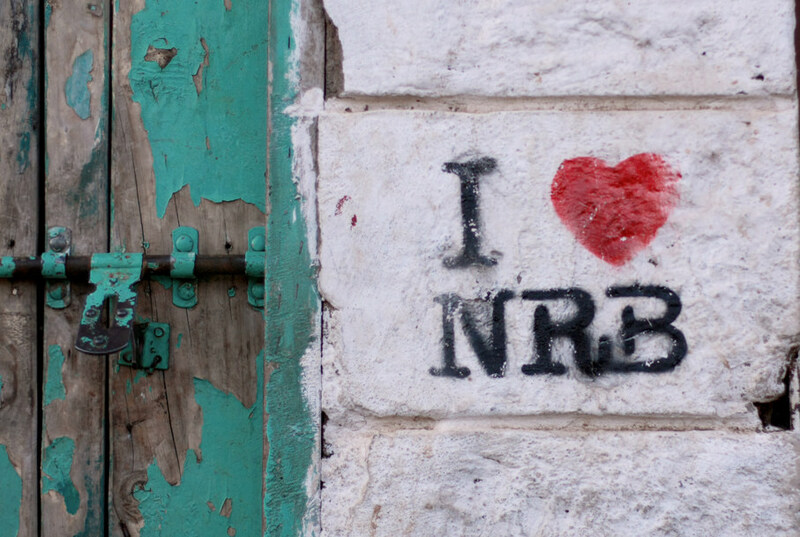 The fact that Nairobi is the capital city of Kenya is enough reason to fall in love with it and visit frequently. Nairobi is a remarkable city and the gateway to the delights that Kenya has to offer. From the beautiful tropical weather, to the safari walk at Nairobi National Park, to the eating joints that are bursting with goodness, to the shopping malls that offer almost everything you need. Nairobi just has a lot to offer and you may get your plate full the moment you arrive. 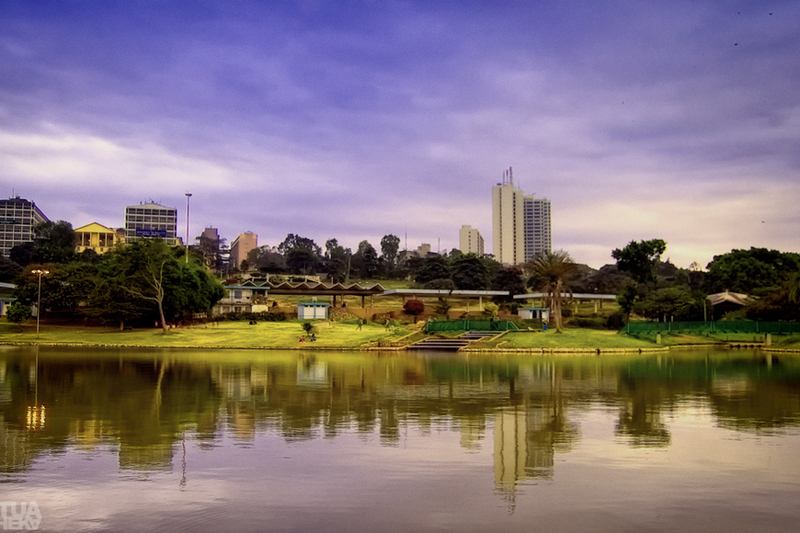 There you are, 10 reasons to fall in love with Nairobi. By now you may be feeling like the little explorer in you want more than just Nairobi. You can move on to the outskirts of Nairobi to enjoy the classic African landscape, the sprawling savannas and the incredible flora and fauna not far away from the city in the sun.